Looking to stay warm all winter long, cozy at the cabin for a spell or just toasty at the weekend campsite? No matter your reason or your quantity, Dean’s Bait & Tackle Inc. offers seasoned firewood year round; our main species consist of oak and ash. 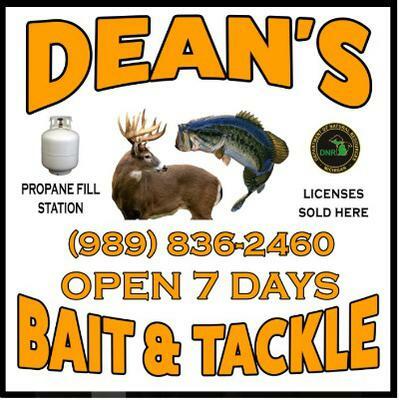 Dean’s Bait & Tackle is a small mom and pop sporting goods store in northern Michigan that offers a wide variety of services and products. We have been in business since 1988. In order to keep our business going we specialize in various products and offer various services in the ever-changing seasons. 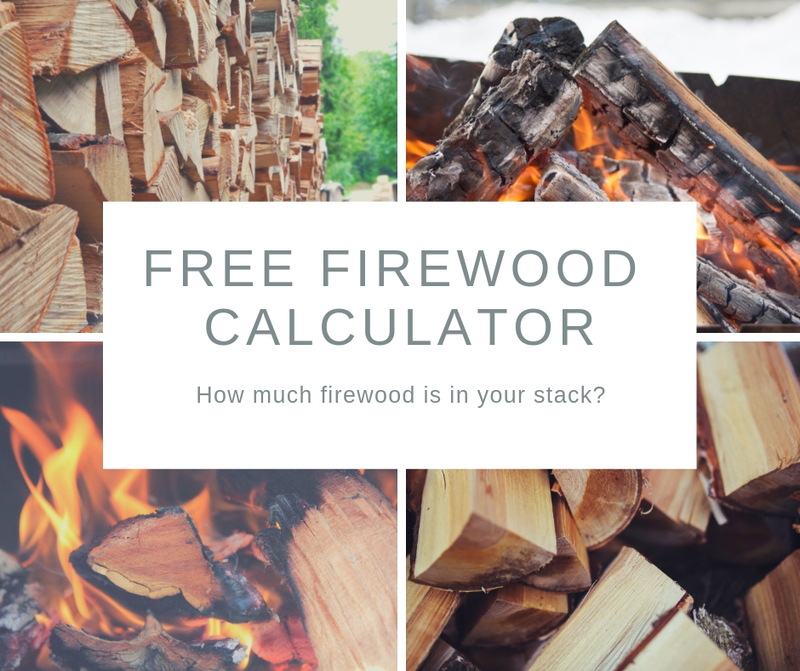 We sell our firewood by the face cord measuring 4’x8’x16”, Half face cords measuring 2’x8’x16” or Camp stacks in various sizes consisting of various species. Our customers hand load their purchase from premeasured stacks. If help is needed due to incapability’s, we will lend a hand to customers whose needs require assistance. At this time we only can offer local delivery, with advanced notice. Please contact us for a quote for your specific needs. 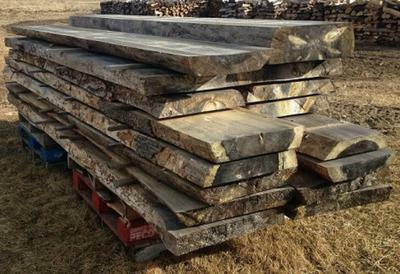 We also offer rough cut lumber from your own logs with a Wood-Mizer Saw Mill. If you’re looking for fireplace mantles, bar top or table & bench slabs we often have various sizes on hand or will take orders (upon availability). Precut Slab sizes range from 2”-6” thick, 12”-28” wide, by 4’-12’ long. Please call for more information. 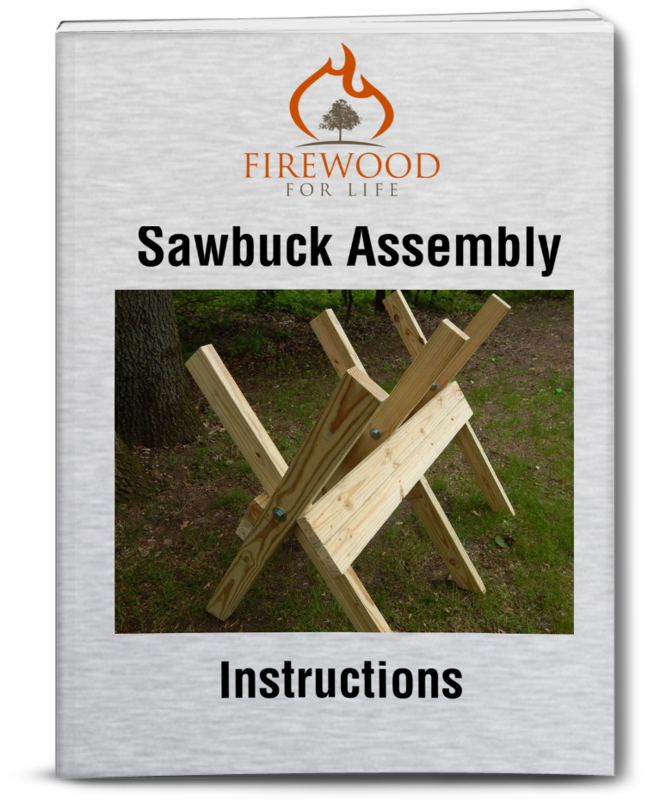 In a nut shell, we have been told by many that we carry a fine selection of fishing bait & tackle needs, hunting and trapping accessories along with crossbows and archery supplies . Our gun selection continues to expand and we carry many calibers of ammunition. We offer propane fills for portable tanks as well as RVs. Our motto here is “If we don’t have it we will do our best to find what you need." 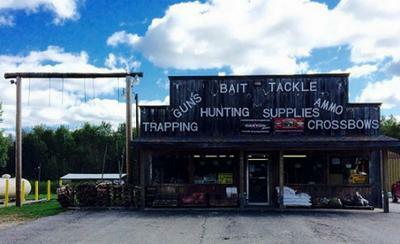 Dean’s Bait & Tackle Inc.